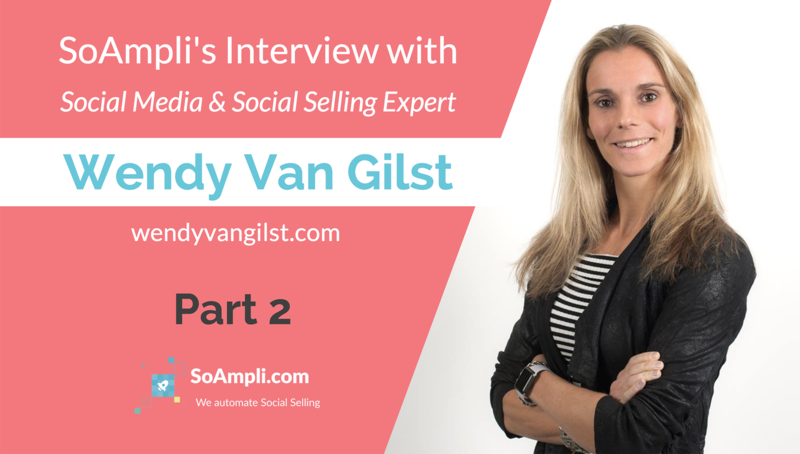 Not too long ago, we had the pleasure of sitting down with social selling expert and blogger Wendy Van Gilst to discover how her passion for social selling was born, and what she identified as the top challenges when scaling social selling at a large B2B company. Q: How do you respond to people that worry about their number of followers? I often get this question from people who start using Twitter for social selling: “I only have 50 or 100 followers, how do I get more?”. My answer is that how many followers you have is not necessarily what is going to make a difference for your social selling success. To me, consistency is much more important! Social media is a very crowded space; if you disappear for a week and then come back you can’t expect people to jump on your content straight away. They haven’t been sitting around waiting for you. once you share something personal, to show people that you’re a real person! It may sound like a lot of work, and I know a lot of people who tell me “I don’t have time to do that”, but when it becomes a habit and you do it, for example, first thing in the morning, or before you go home, it starts taking a lot less time because you get into the routine. That’s when you start seeing results and then it becomes almost like a natural thing to do, like getting a coffee in the morning! And once that happens, the ‘I don’t have enough time’ objection stops. Nobody ever complained about something that was getting them a lot of results! Q: When it comes to empowering sales reps on social media, how can companies be enablers without forcing people? I think there is a big responsibility for companies here. They can’t just expect people to use their personal profiles to drive revenue for the business; they also need to spend time training and enabling people in the right way. When you present a social selling programme to your team, you need to explain first why it’s going to help them and their career before you start talking about how it’s going to benefit the business. To do this, first of all, they need to have a social selling strategy in place and somebody dedicated to organising training; secondly, they should provide a simple platform where salespeople can find and share the content they need to engage with their network in the right way. Q: Many companies interested in social selling worry they don’t have enough content to make it work. What’s your take on that? 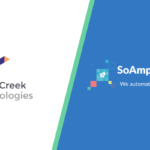 When you look at the amount of content that you actually need for a successful social selling programme, you realise that a lot of it comes from third parties. This can cover a large amount of content that you want to deliver. In most cases, it’s not a matter of creating MORE content, it’s a matter of educating people on how to use it in the right way. Creating extra content always seems to be the answer to everything, but it’s not making any difference if people don’t know how to use it or distribute it correctly. Q: Which department should be responsible for social selling training? The social media team definitely needs to be involved from the beginning, but to make sure the programme is really successful, You need the support of both sales and marketing. If you don’t have buy-in from your sales managers, it is going to be a lot harder to reach your sales team; at the same time, if marketing is not engaged, it’s going to be difficult to get the content you need. Once you’ve established this relationship, you can think about scaling up your social selling programme to include more departments (i.e. HR, internal comms or customer success). You need to have champions in every department to support the social selling activity for that team, and I always like to point out the social heroes, people who are not social media managers but are really interested in it and can inspire the rest of their team. Q: A lot of people think that social selling is only about LinkedIn. What do you think about that? I think it should be a combination of all the platforms. I think LinkedIn does an amazing job in making social selling something we all know, they are the ones who led this, but, on the other hand, if you see the amount of information that we all share on all the other social media channels, it would be very stupid to ignore it. Twitter is extremely important for social selling too; and when it comes to other more ‘personal’ platforms like Instagram and Facebook, I use them mainly to gather information. For example, if you see on Instagram that someone has a very specific interest, why shouldn’t you mention that when you send them a message on LinkedIn? There are people that tell me that’s creepy, but I disagree. We share that kind of information on Instagram because we want others to see it! Q: Do you have a favourite ‘social selling success story’? 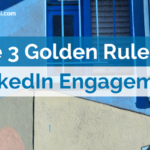 Most of us think that the only way to connect with a prospect you don’t know is to send them a LinkedIn request. But I know a colleague who spent some time researching the person she wanted to connect with and she found out that this person was a Twitter lover. My colleague decided to send him a tweet instead of a LinkedIn InMail and she got a tweet back straight away, setting up a phone call within 30 minutes. What’s key in this example is that this prospect was not active on LinkedIn at all, my colleague would have never had a conversation with him had she used LinkedIn. That’s one of the things I really like, when you look at a person, understand what they like and what they prefer and then make a decision based on their interests and preferences. If you want to be successful, it truly is up to the person that you want to reach out to, to determine where you should contact them! On her blog, wendyvangilst.com, Wendy shares her own experience and top tips as a social media and social selling professional. Currently working as Global Social Media Marketing lead at Sage* in Dublin, she has organised a social selling group on LinkedIn with more than 850 members to discuss all the challenges that we face every day as social selling practitioners and trainers.